She gaped as he uncapped the bottle and guzzled the cool water in little more than a gulp then swiped stray droplets from his mouth with the back of his hand. Jake did a double-take when her smile turned down and her gaze flashed complete mortification at the unintended double meaning. He tugged his ball cap low over his eyes and crossed his arms as she stuttered through an explanation. “Wow.” Jake burst into laughter. He fought hard to regain his composure as tears stung his eyes and mixed with the sweat on his brow to blur his vision. “I’m Jake.” He wiped his hand on his jeans in an attempt to brush off some of the sweat and dirt before extending it to her. “Carin.” She grasped his hand and gave it a tentative shake. The scent of sandalwood perfume clung to the humid air, and Jake inhaled deeply, his pulse easing down another notch. “No!” Carin emphasized the word. “I mean, no, I wouldn’t want to worry him. It’s not pressing. I just need to…” The words died in her throat. “Are you sure it’s not an emergency?” He couldn’t leave her hanging if it truly was a pressing issue. Jake debated. It wasn’t an emergency, and she’d be back in a day or so if he played his cards right. Then he wouldn’t be in a hurry to get Corey, and he’d have all the time in the world to talk with her—a better prospect, all the way around. Yeah, right, Jake thought as she backed away. You wouldn’t want to dirty those freshly-manicured nails. “See you Sunday?” Jake called. “Me, too.” The way she said it, her voice lilting with a biting edge to it, made Jake wonder exactly what was up. Now he had no choice but to wait to find out. Guess that was the price he’d pay for letting the heat—and a bit of temper—get the best of him. He thought about going after her, but the compact sedan’s engine rumbled to life before he had time to make up his mind. As the car puttered from the lot, Jake checked his watch and quickly turned his attention back to mowing. He crushed the empty water bottle and stuffed it into the back pocket of his jeans before double-timing it through the last section of lawn. Then he wrestled the mower back into the shed, brushed off his jeans, and went inside the church long enough to wash grass from his hands and check his voicemail. The last bit of mowing gave him time to reflect, and guilt gnawed at him. He wondered what Carin wanted. He shouldn’t have run her off without asking. What kind of pastor was he, anyway? What if it was important? What if she didn’t come back? Question 1: What do you think of Jake's thought that pastors are human, too? How might this affect their behavior in any given situation? Question 2: How has Corey impacted Jake's ability to perform as a pastor? How do the people in his church help him? What might have happened instead if the people had shunned Corey? Question 3: Jake believes, despit the obstacles in his path, that God has a perfect plan. How would you describe his faith? Question 4: As Corey struggles to accept the death of his parents, he says to Jake, "You said God doesn't make mistakes." If you were Jake, how would you respond? Question 5: What does the pond at the senior center symbolize? Why do you think Lilly and Mr. Julian are so drawn to it? Question 6: How do Corey's antics help bring Jake and Carin together? Describe Jake's level of patience, as well as Carin's. Question 7: Describe the friendship that Carin and Lilly share. How do you think the friendship helps Carin learn to trust again? Question 8: What kind of tumult, spiritually, does Phillip cause Jake when he breaks into Carin's home? What do you think of Jake's inner feelings concerning this episode? Question 9: At one point in the story, Corey confides to Carin, "You're not like her, you know." Explain the significance of this admission. Question 10: Jake goes to the wisdom tree when the world beats him up. 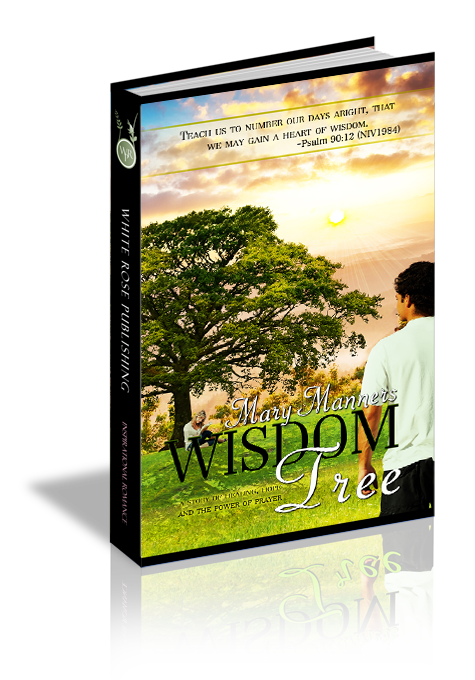 Do you have a 'wisdom tree'? If so, explain.